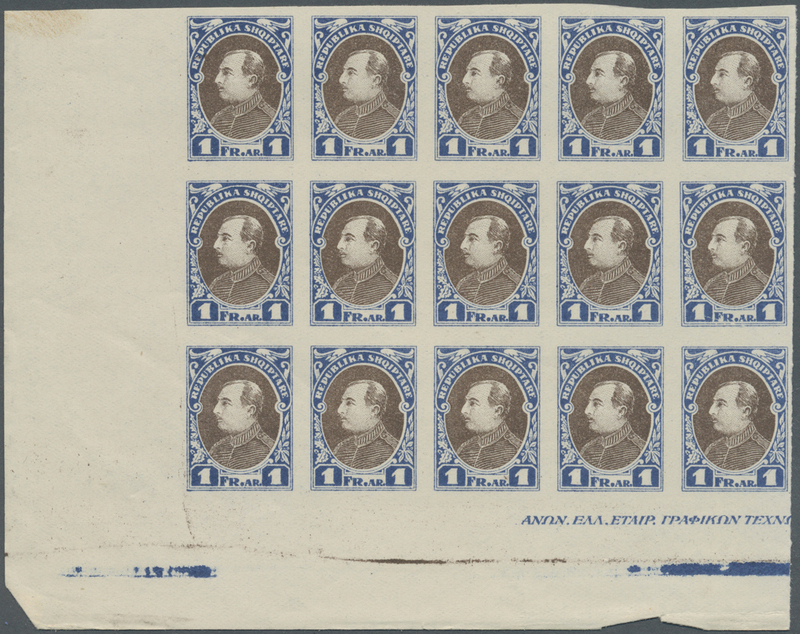 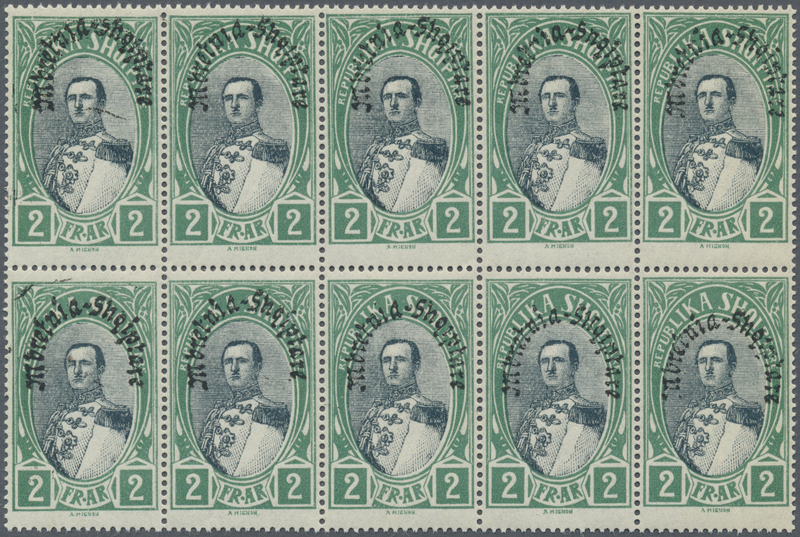 34203 gestempelt (marked) ungebraucht (hinged) * postfrisch (never hinged) ** Briefstück (on piece) 1913/1942, mint and used assortment on retail cards, comprising better issues and specialities like varieties of overprint, gutter pairs etc. 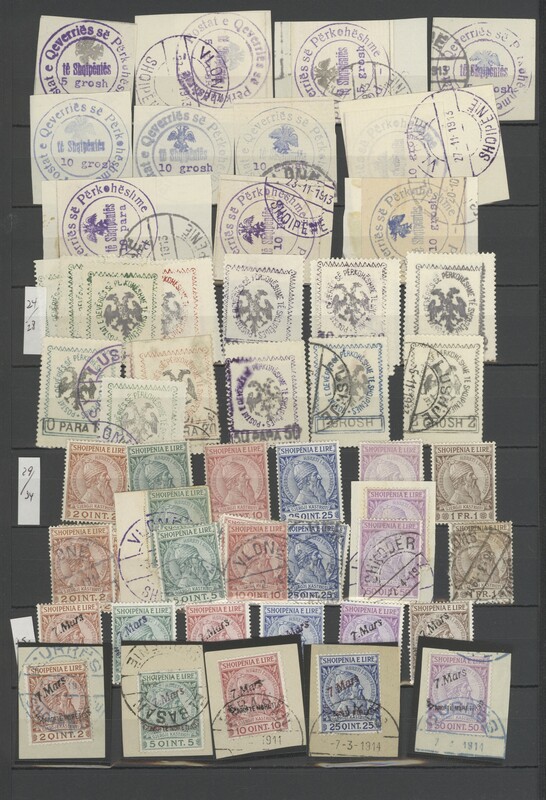 ; high cat.value, viewing advised! 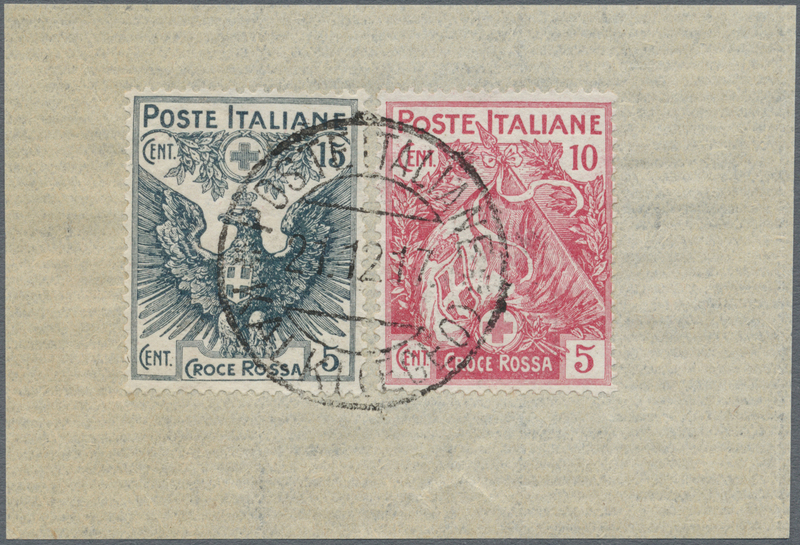 34207 postfrisch (never hinged) ** gestempelt (marked) Brief (cover) 1913/1972, useful accumulation in stockbook with some better issues pre 1960. 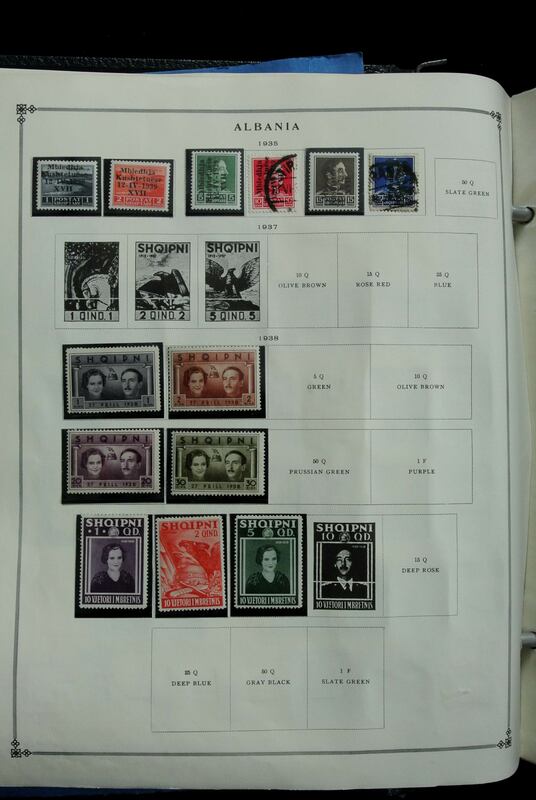 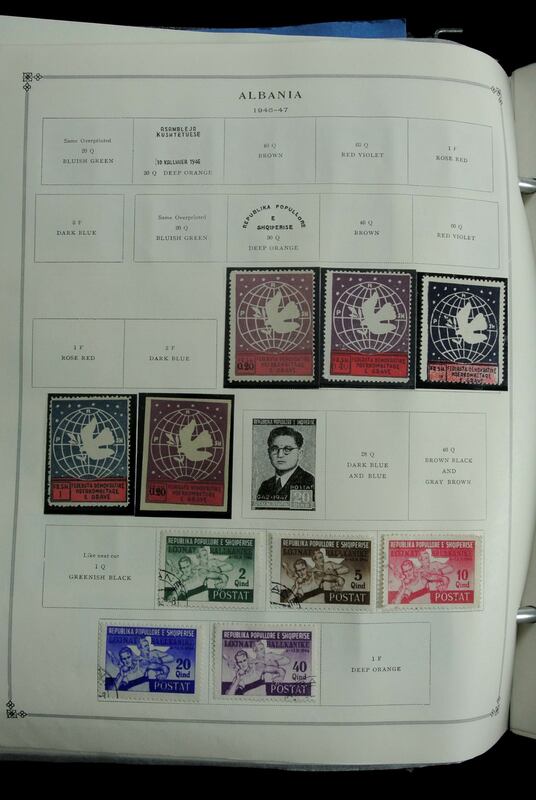 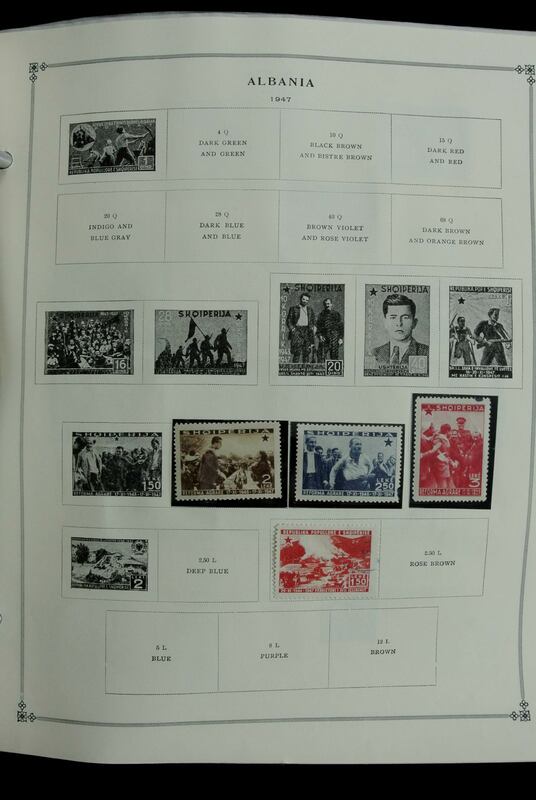 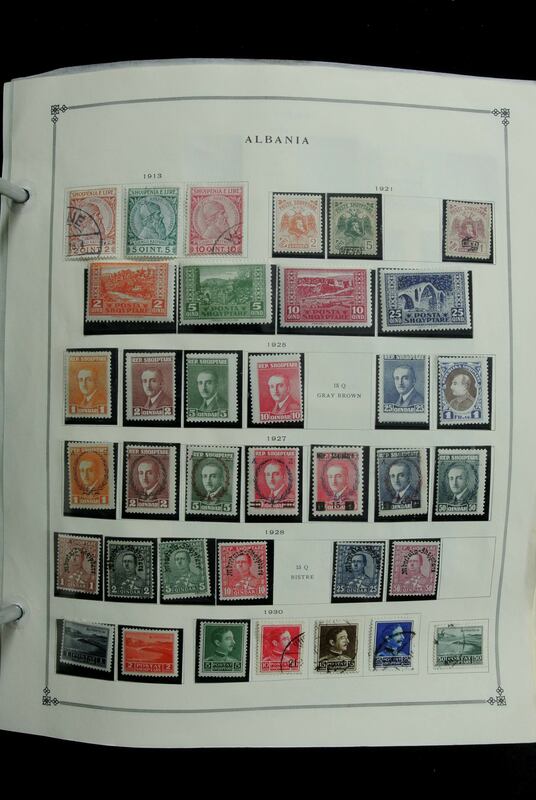 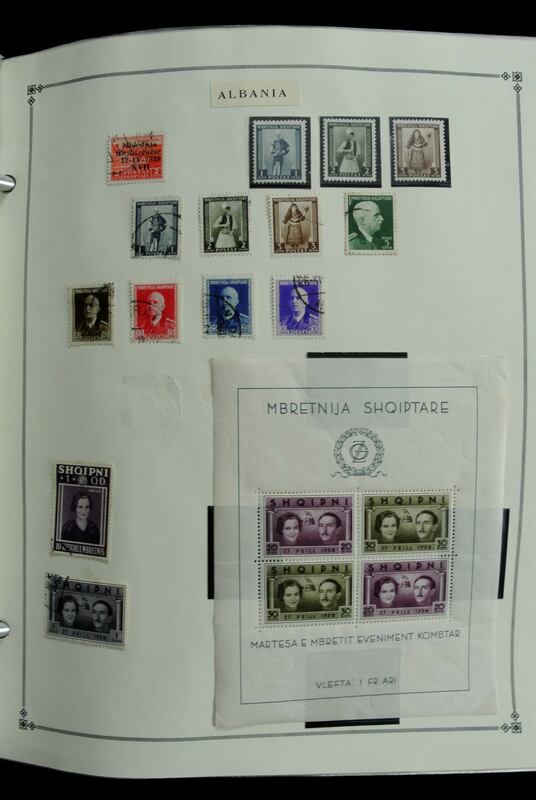 Later several complete set with mostly thematics including souvenis sheets. 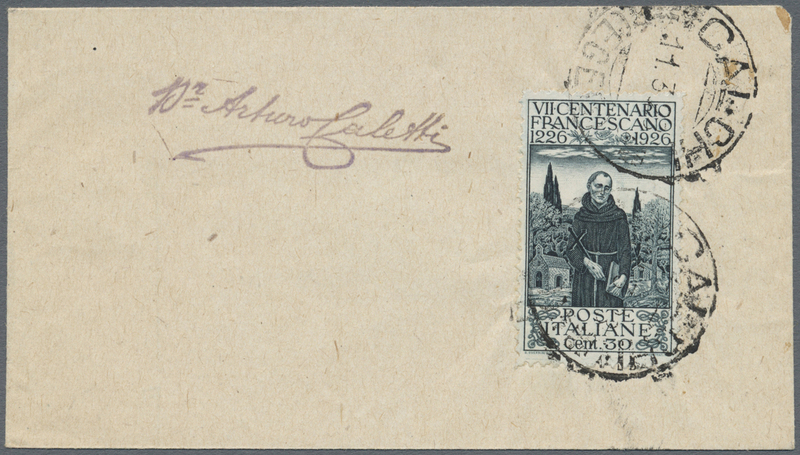 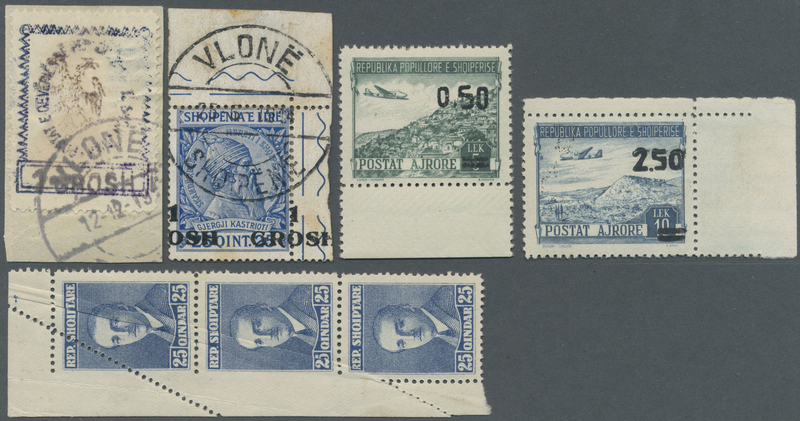 34212 postfrisch (never hinged) ** Brief (cover) 1914/1939, assortment of u/m material incl. 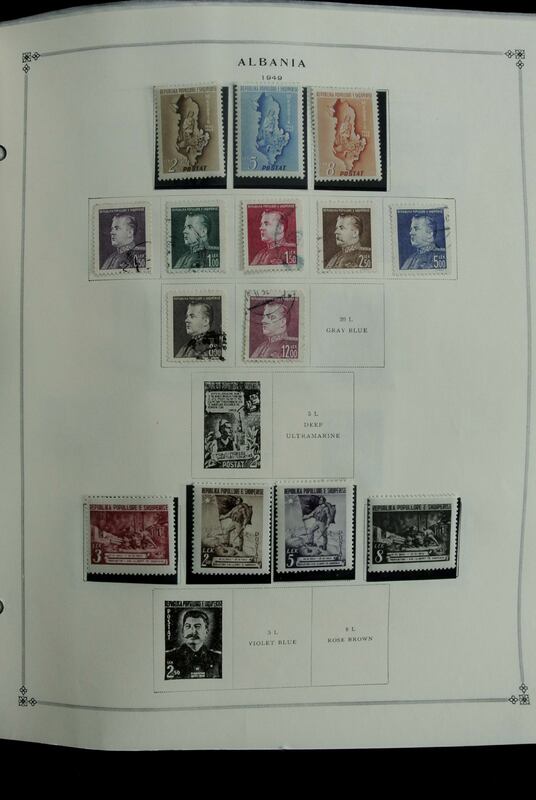 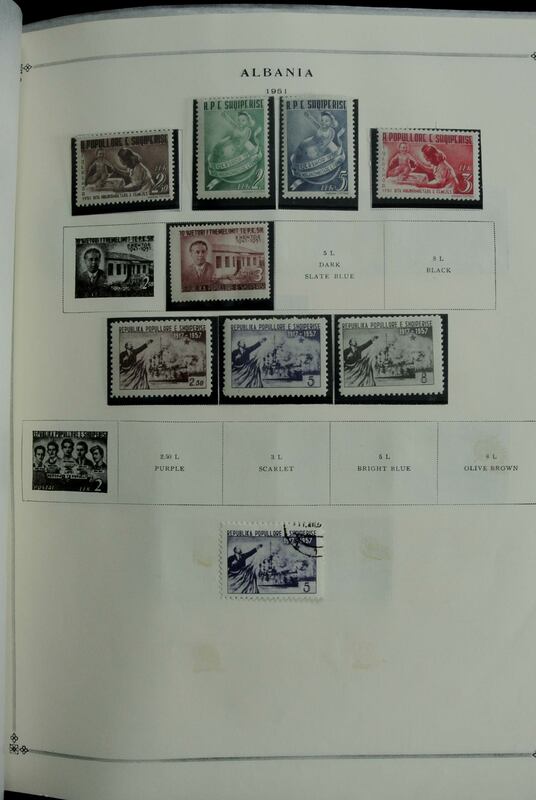 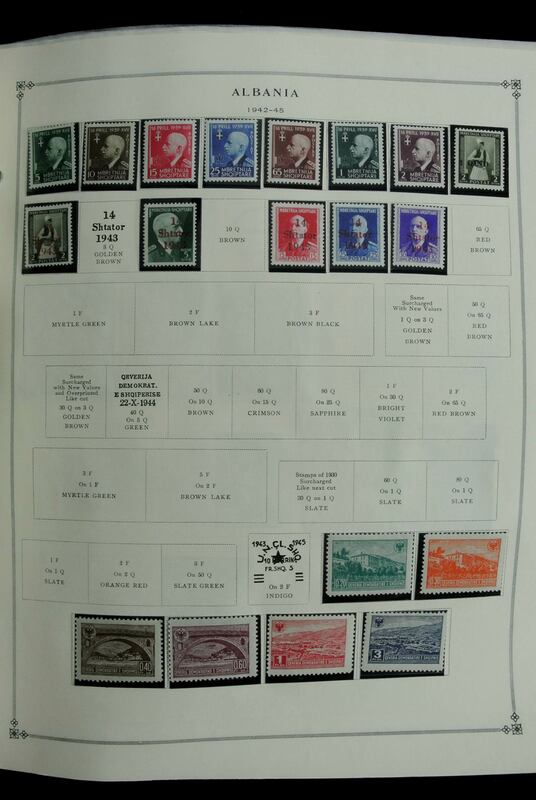 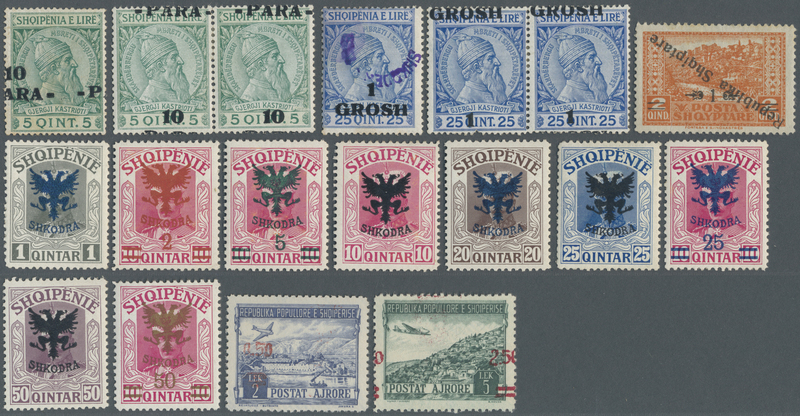 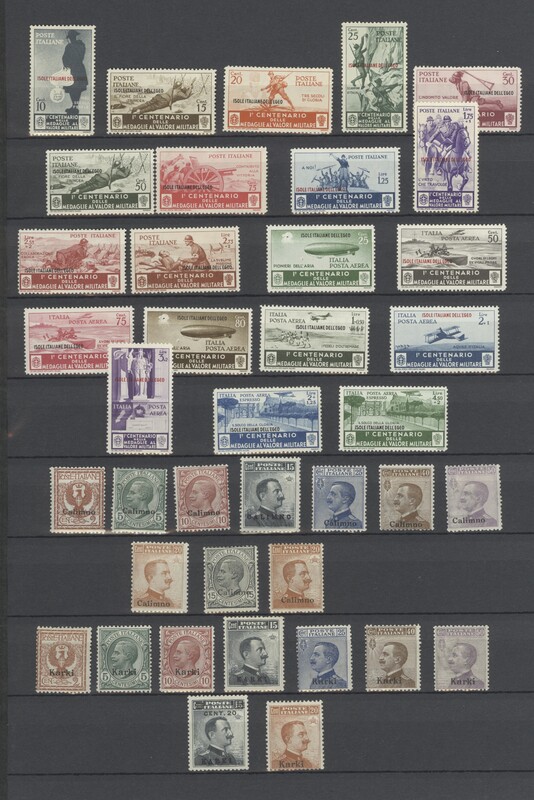 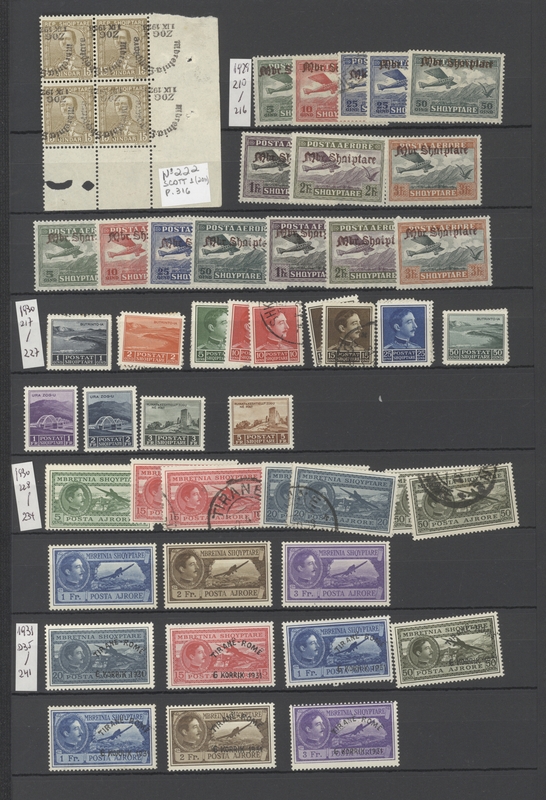 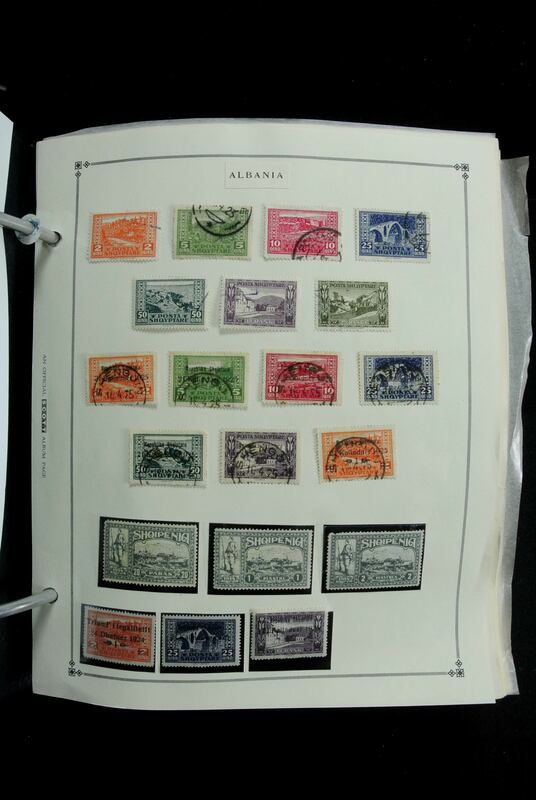 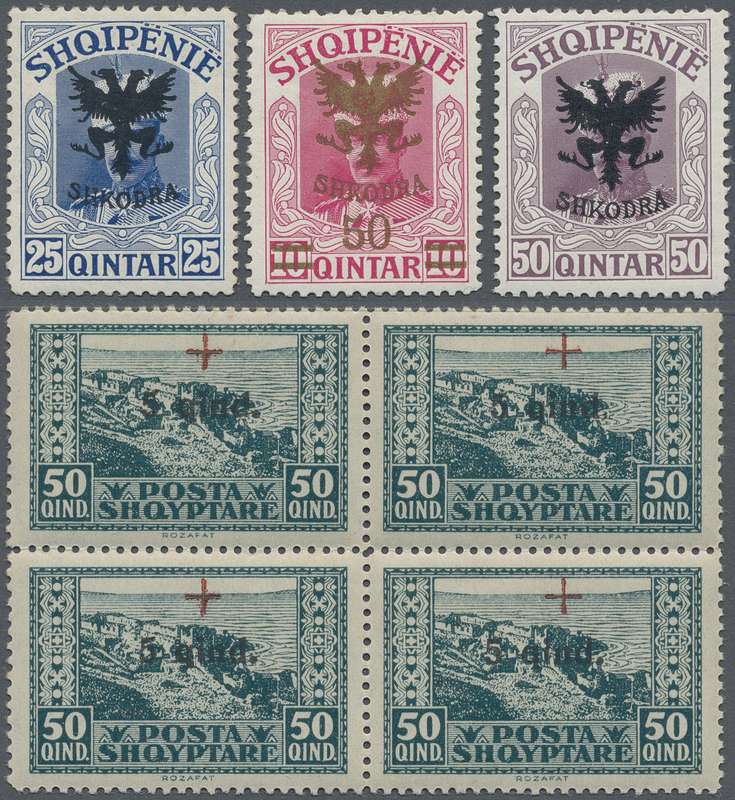 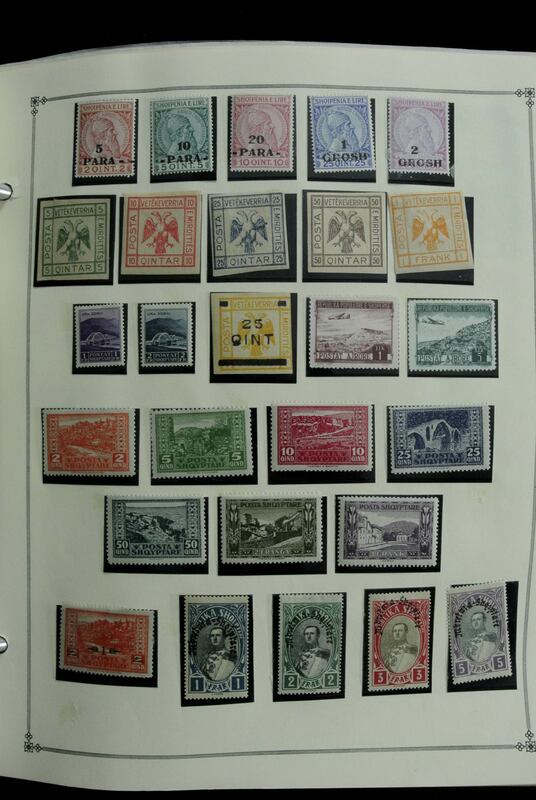 blocks of four, overprints and souvenir sheets; in addition two commercially used entires. 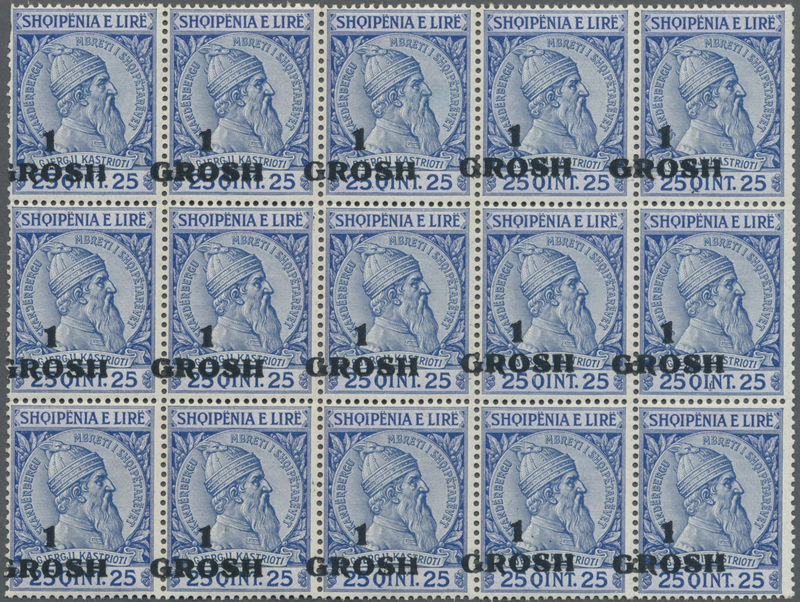 34219 postfrisch (never hinged) ** 1925, Defintives "Achmed Zogu", 1fr. 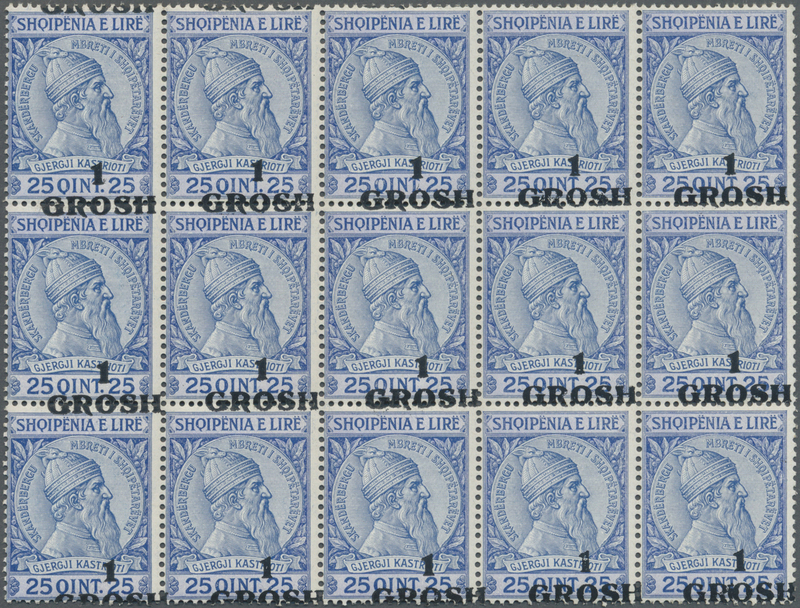 ultramarine/brown and 2fr. 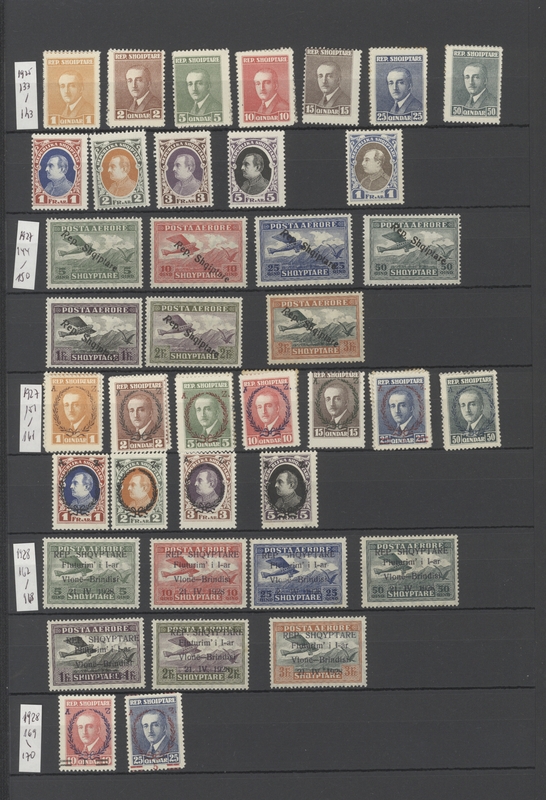 greyish green/reddish brown, both not issued values, 451 stamps each within (large) units, unmounted mint. 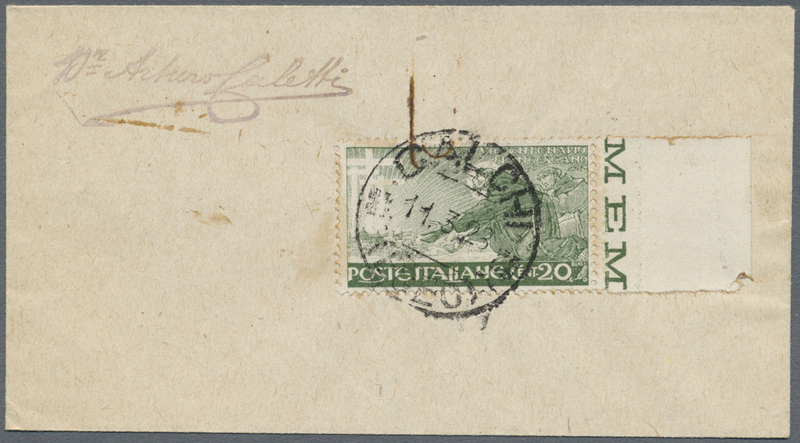 Yvert 176A/B, 16.461,- €. 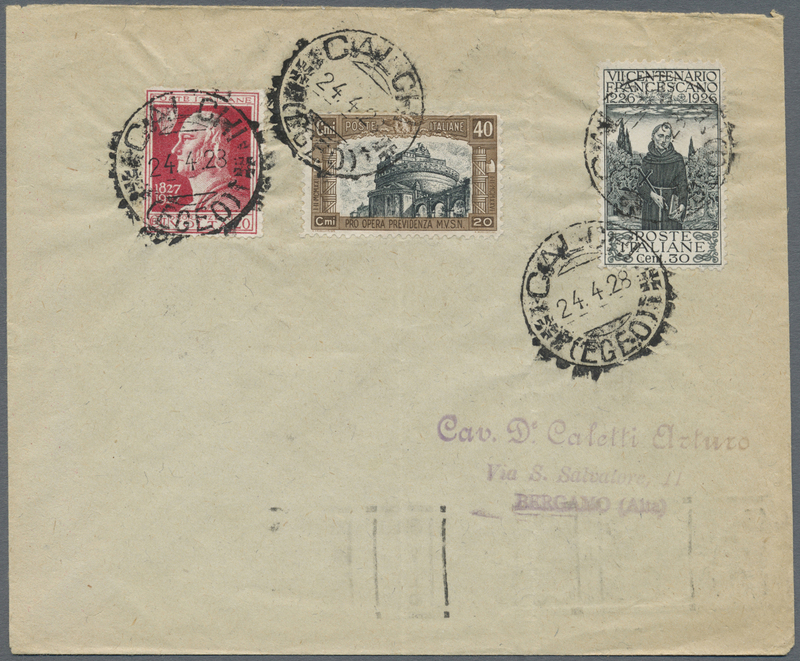 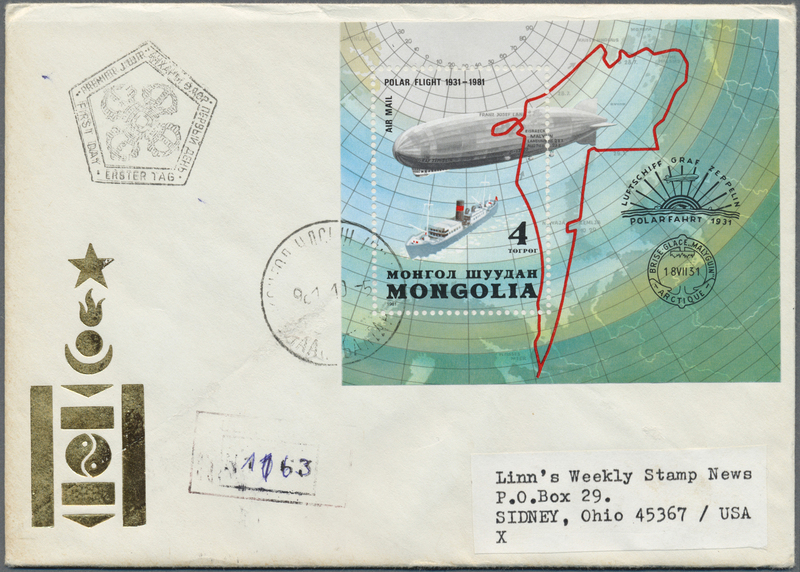 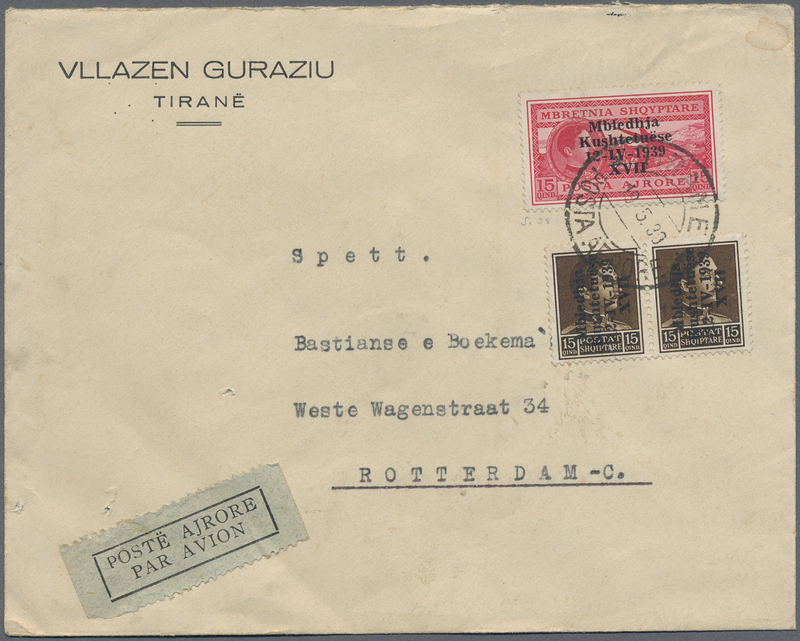 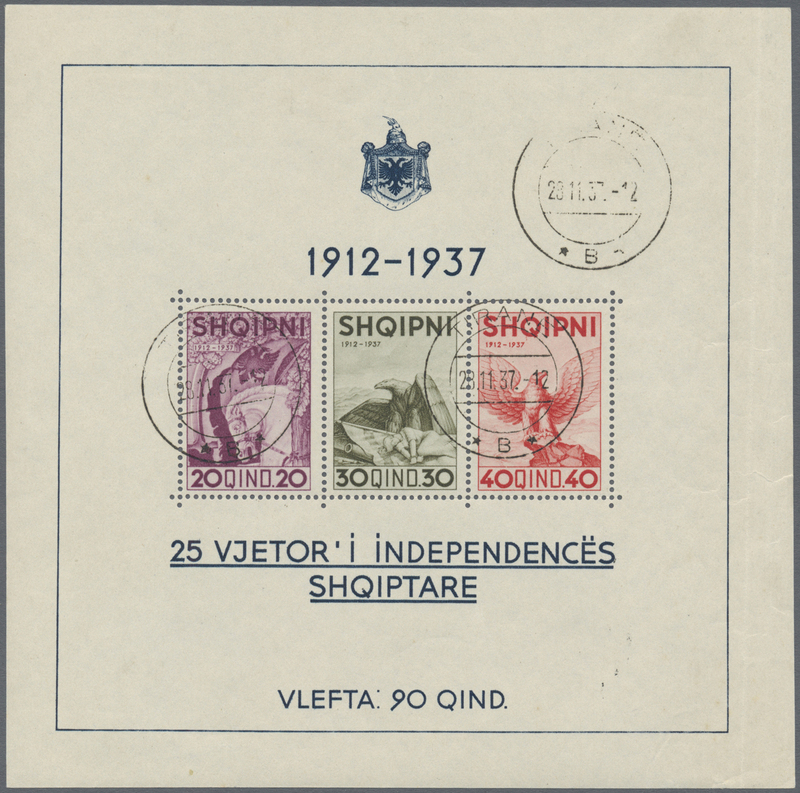 34222 Brief (cover) 1939 - 1940, postage stamps 15 Q and 25 Q on 4 censorship letters to Germany, transport defects. 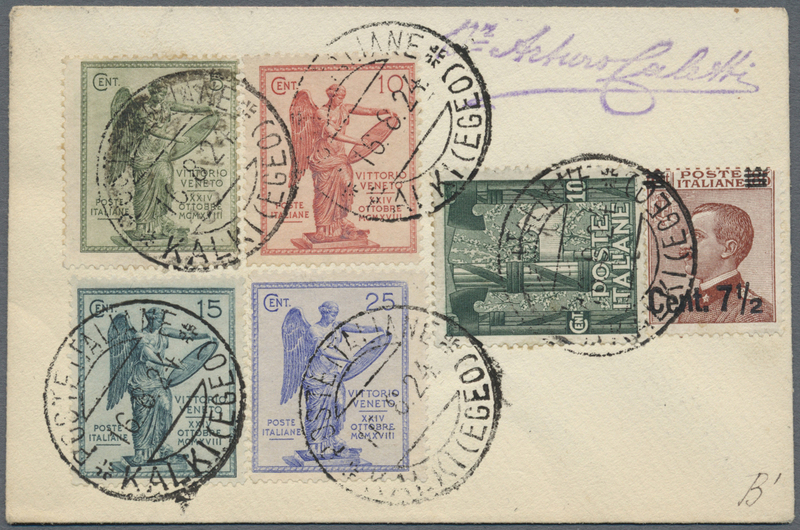 34223 Brief (cover) 1939, postage stamps with overprint 5 Q, 10 Q and 25 Q on 4 R-letters to Germany, at the back arrival postmark. 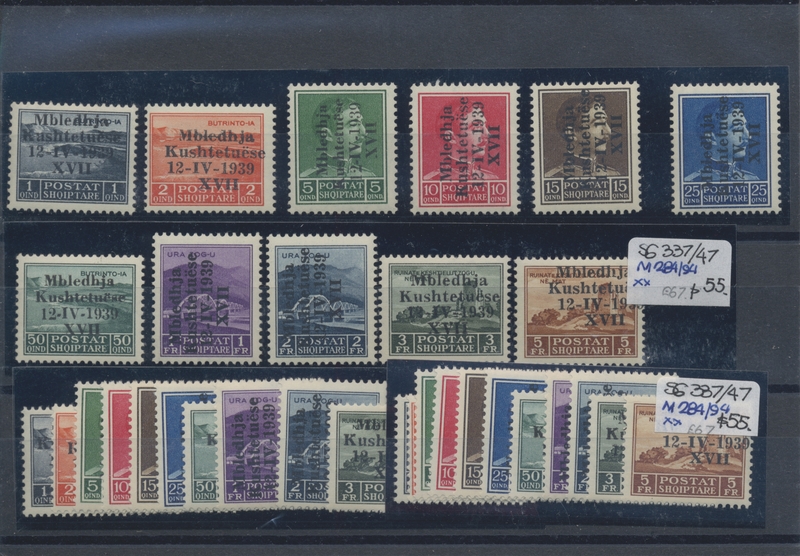 34224 postfrisch (never hinged) ** ungebraucht (hinged) * gestempelt (marked) 1945/1963, mint and used lot on retail cards, comprising varieties of 1945 overprints, complete sets and some 1952/1953 airmail overprints. 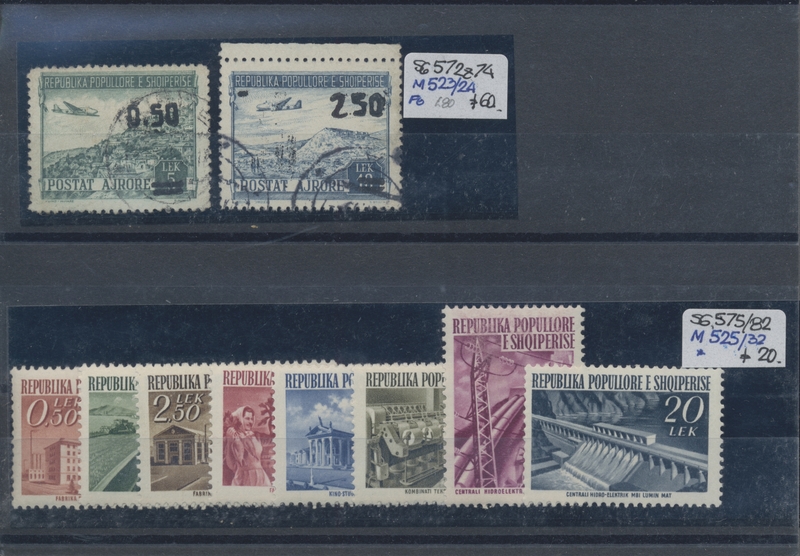 34225 postfrisch (never hinged) ** 1963/1964, Olympic Games Tokio 1964, Mi.no. 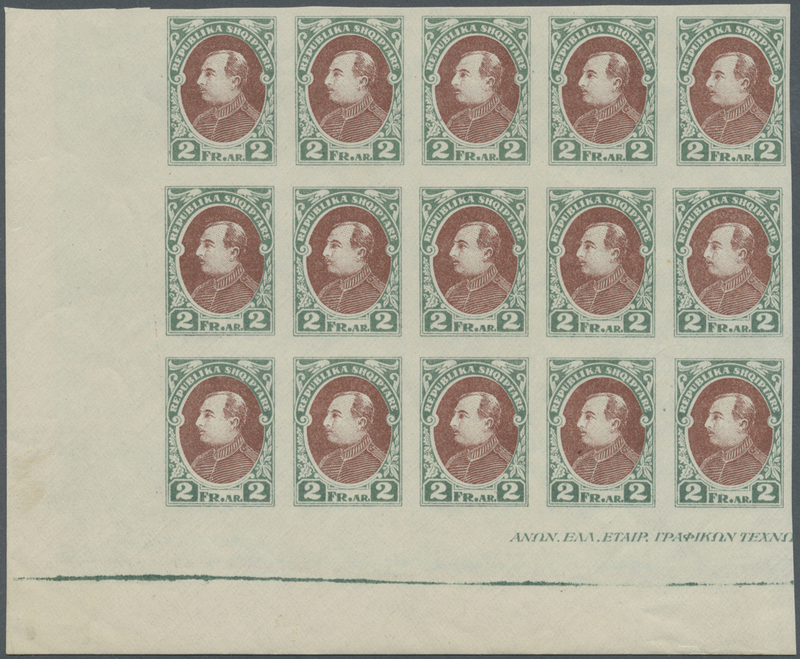 747/751A in sheets of 100 stamps each and 823/826B in a block of 10 (823 three stamps with a crease) mint never hinged. 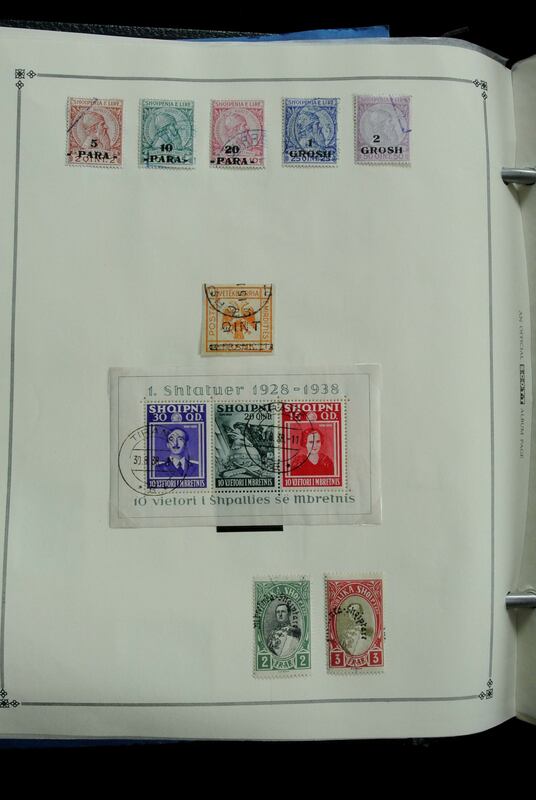 Michel 850,- €. 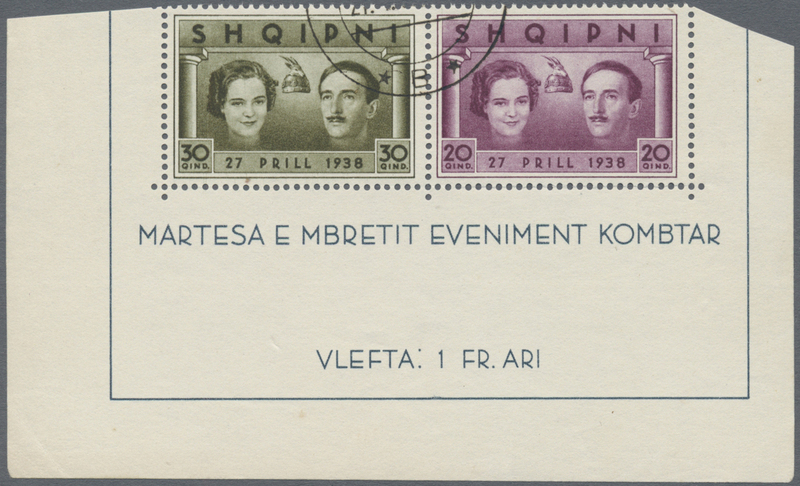 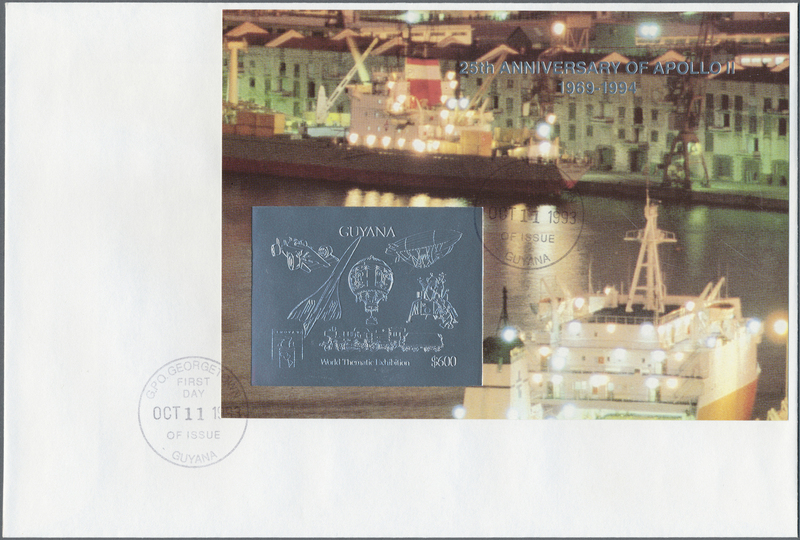 34226 postfrisch (never hinged) ** 1966/1978, unmounted mint collection on Marini album pages, good opportunity! 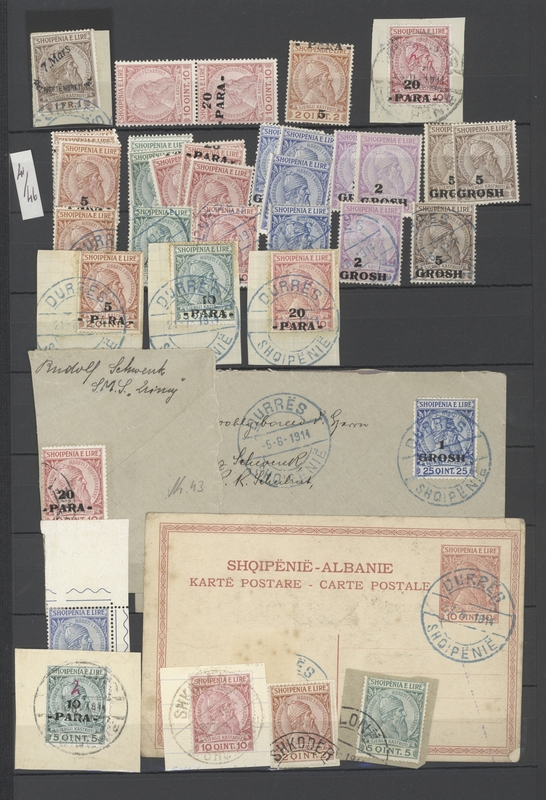 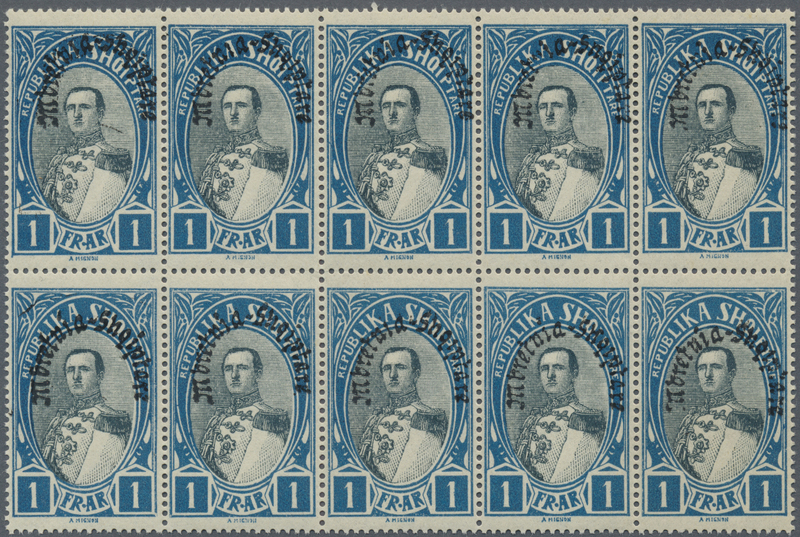 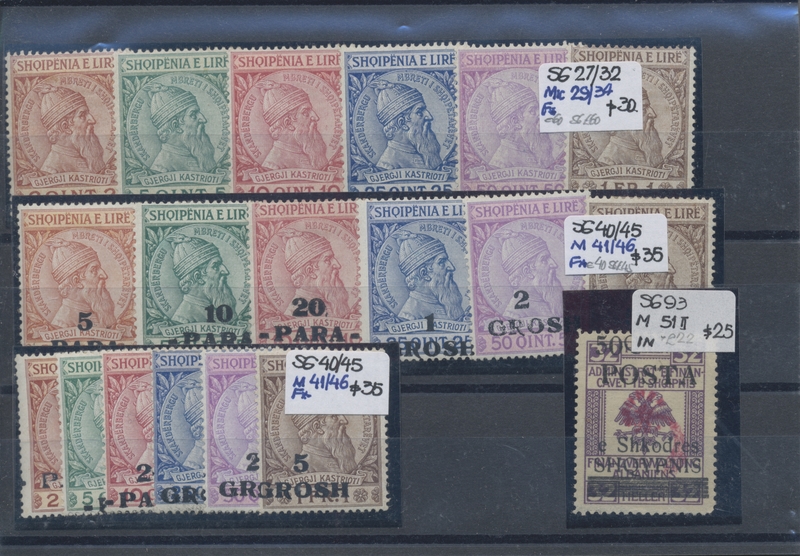 34232 gestempelt (marked) ungebraucht (hinged) * Briefstück (on piece) postfrisch (never hinged) ** 1914, "T/Takse" overprints on Skanderberg, mint and used assortment of 39 stamps incl. 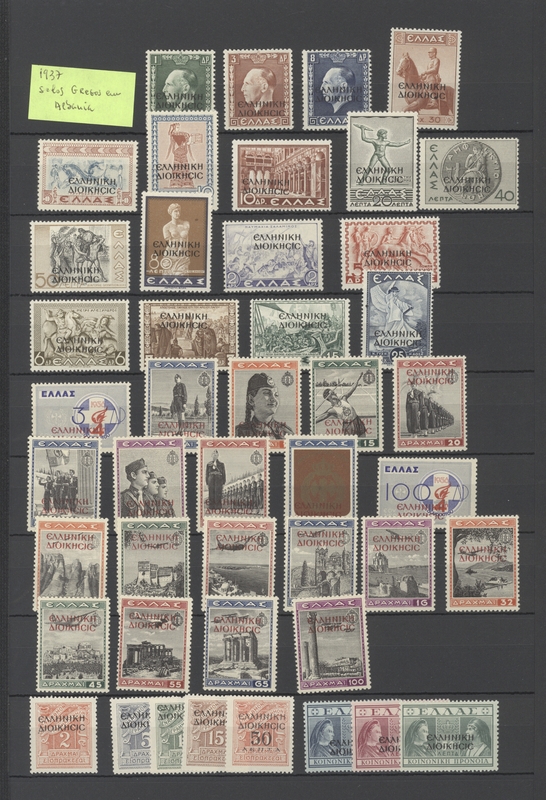 varieties like "T inverted", "Takse inverted", "Takse missing". 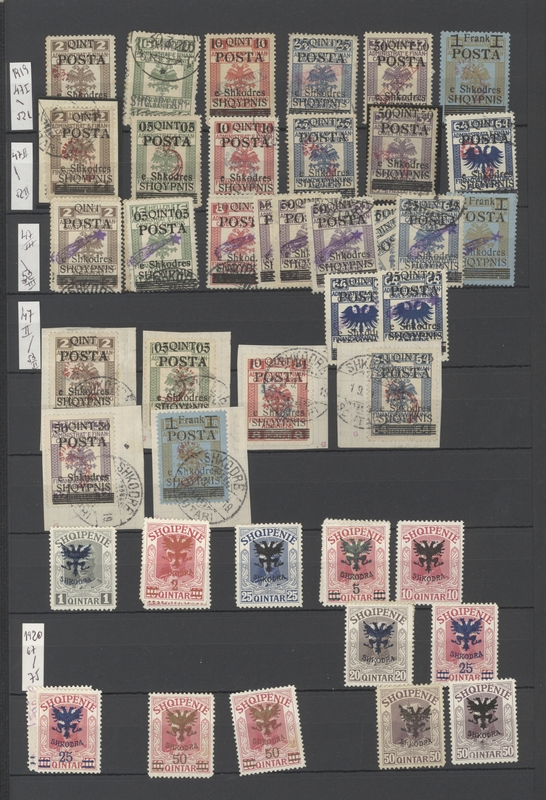 34233 ungebraucht (hinged) * gestempelt (marked) postfrisch (never hinged) ** ungebraucht ohne Gummi (unused without gum) (*) 1919/1940, mint and used assortment on retail cards incl. 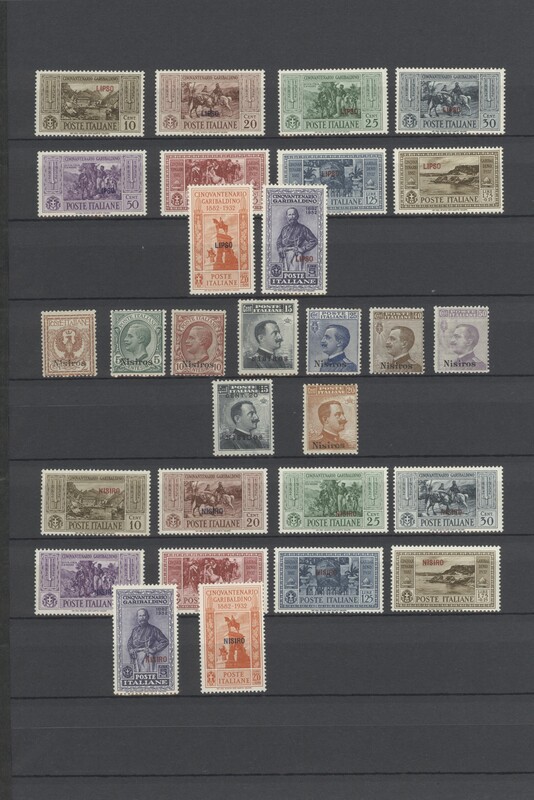 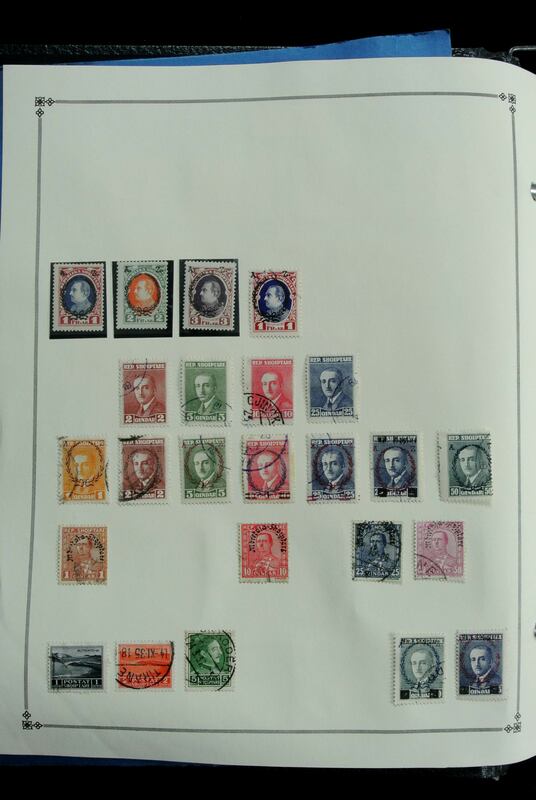 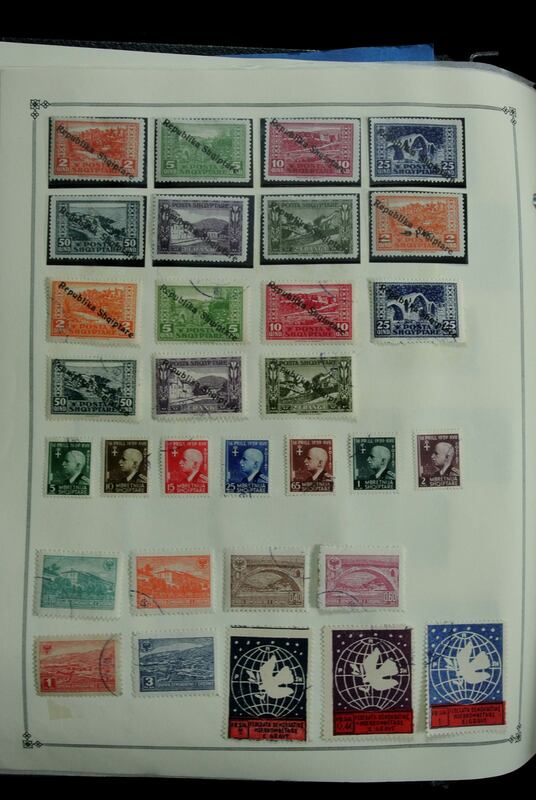 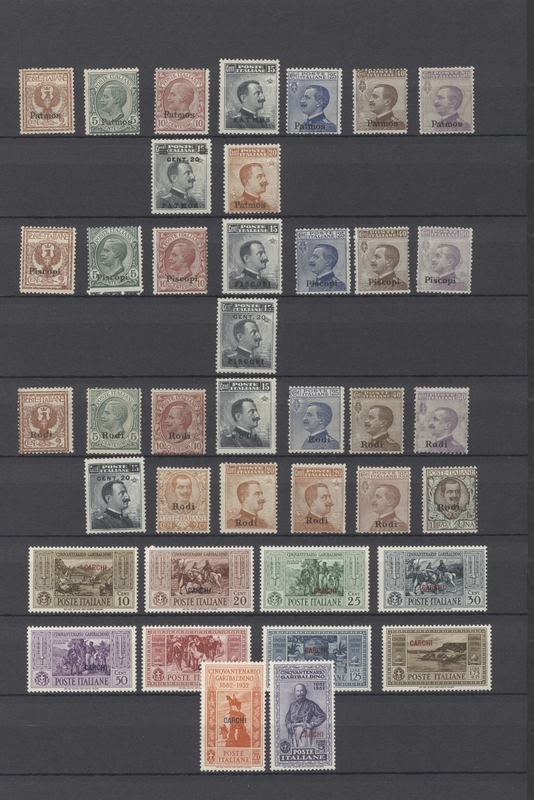 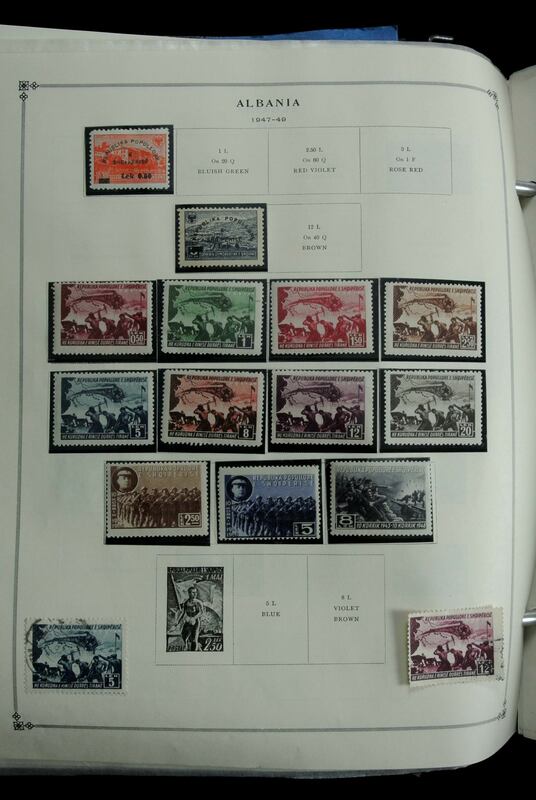 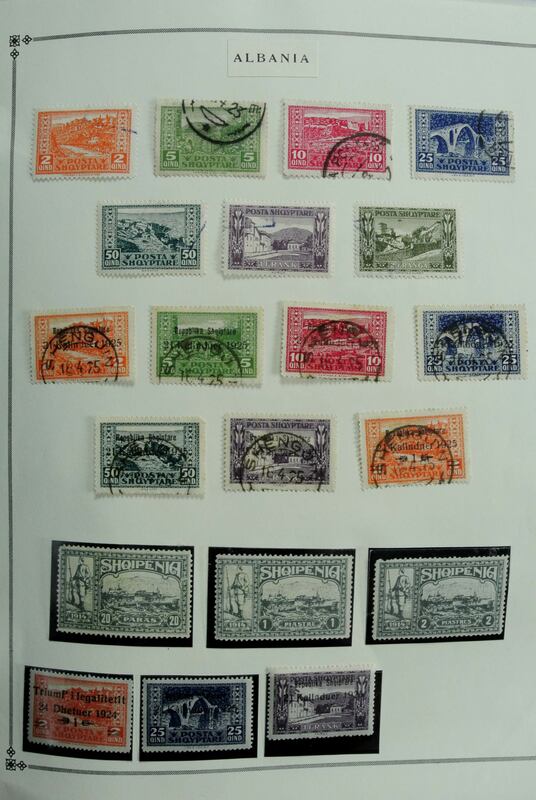 1919 variety "shifted S", proofs of 1920 issue (without overprint), 1925 issue shifted overprint and Specimen, 1936/1939 overprints with varieties, 1940 Coat of Arms complete set used (rarely seen) etc. 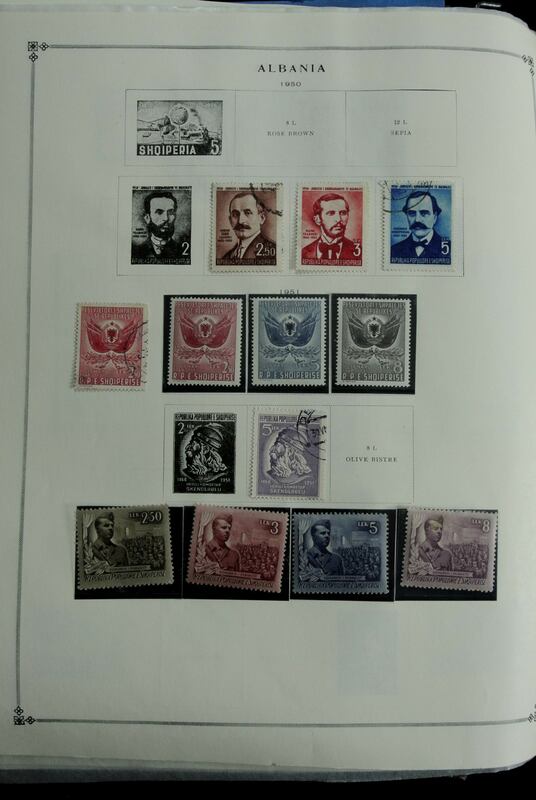 Nice lot with high retail value!